If you’re in the process of interviewing potential food suppliers for your restaurant, make sure you ask the right questions to properly assess whether they’re a good fit or not. Some food suppliers require a minimum threshold order amount before they’ll deliver products to you, otherwise, they may charge a fee if you don’t meet that minimum. If your needs are small for your restaurant, it may not be financially smart to work with a food supplier with a minimum order. 2. Do You Discount for Bulk Orders? On the flip side, if your business is booming and you need a substantial amount of food delivered each week to your restaurant, you want to be rewarded for placing a larger order. Many vendors offer discounts for volume orders. This is a huge boon when it comes to reducing your food cost and increasing profit! 3. Where Do the Products Come From? 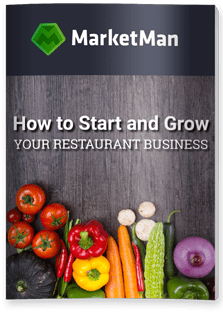 As a restaurant owner or manager, you should care about the origin of the food you order for your restaurant. There’s a reason why local food is in the spotlight right now: the average distance fruits and vegetables travel is 1500 miles! That produces plenty of opportunity for the items to spoil or be damaged, and it’s horrible for the environment. But buying local, on the other hand, supports the local economy, guarantees freshness, and is better for the environment. Certainly, not everything you order for your kitchen can be produced within a few miles of your restaurant, but understanding where food vendors source products from is an important factor in your decision. 4. What’s Your Delivery Schedule? Essentially, you want a food supplier who can deliver on yourschedule, but see what their answer is. You don’t need a delivery dropped in the middle of dinner rush; can they deliver before the restaurant opens? What if you need an additional order? How quickly can they process and deliver it? And will there be extra fees for it? Naturally, the longer you can wait to pay a food vendor, the better. What you buy for inventory today won’t be consumed for several days, if not weeks, so you won’t even bring in revenue to cover that order for a while. Negotiate terms so that they suit you. Also: what forms of payment do they accept? You might find it easiest to pay with a credit or debit card online, but they might insist on Cash on Delivery. Starting a relationship with a food supplier is no insignificant thing. Hopefully, it will be one that will last for decades. Speaking with other restaurants that buy from this vendor can be helpful. Have you ever had problems with the vendor? Has pricing ever gone up without notice? 7. Can You Provide a Liability Insurance Certificate? What happens if a batch of lettuce, including what you’ve purchased from your food supplier, is found to have E. coli in it? Will you have to eat the cost, or is it covered by insurance? Liability insurance is a must for any food supplier; should there be a product recall or other issue with anything you’ve ordered, the vendor’s insurance should cover it and reimburse you. Interview several food suppliers before making your decision. Don’t be swayed on price alone; remember that the quality of the food you serve your patrons should be the best, so sometimes it’s worth paying a little more to get it. Restaurant purchasing software can help you save time and money when placing orders with suppliers. Chefs and managers can submit purchase orders, check statuses and manage vendors anytime, anywhere. When a delivery arrives, you can automatically reconcile and check items into storage.